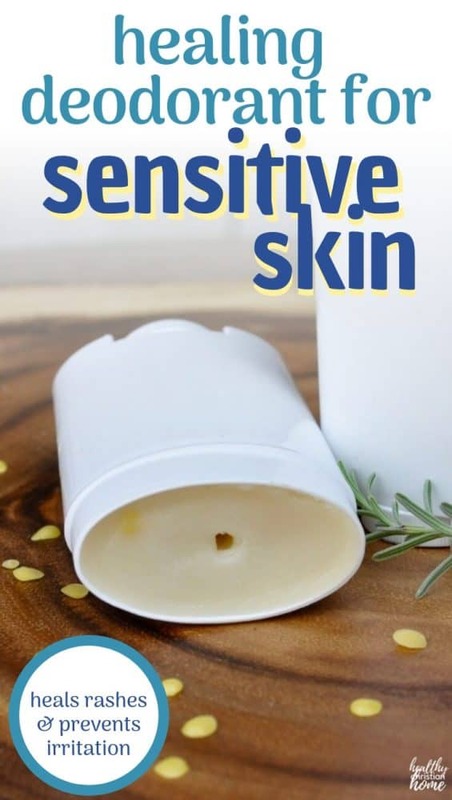 This DIY deodorant for sensitive skin is soothing and nourishing to the skin. Since it’s baking soda free, it won’t irritate your skin, but you’ll still feel fresh and clean. 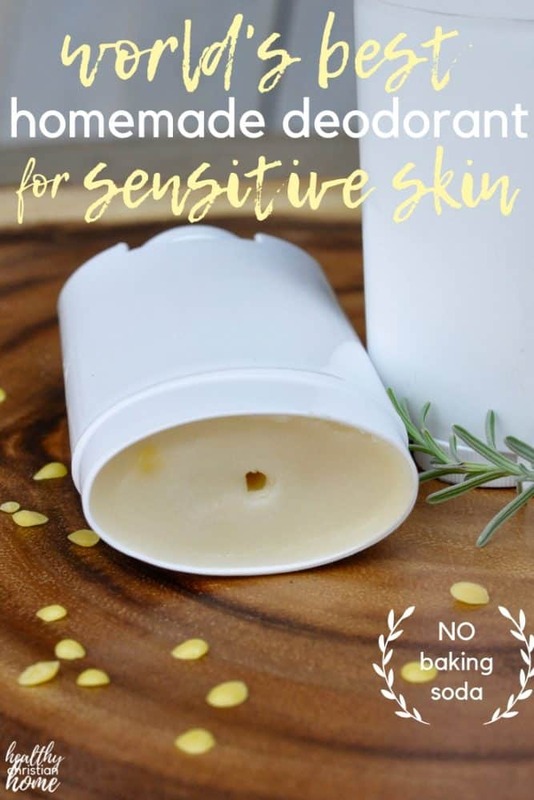 The star ingredients in this homemade sensitive skin deodorant include arrowroot powder, cornstarch, shea butter, coconut oil, beeswax, and essential oils. Whip up this deodorant in 5 minutes, and you’ll have some happy pits, indeed! It’s no secret that my homemade deodorant recipe is the #1 post on my blog. 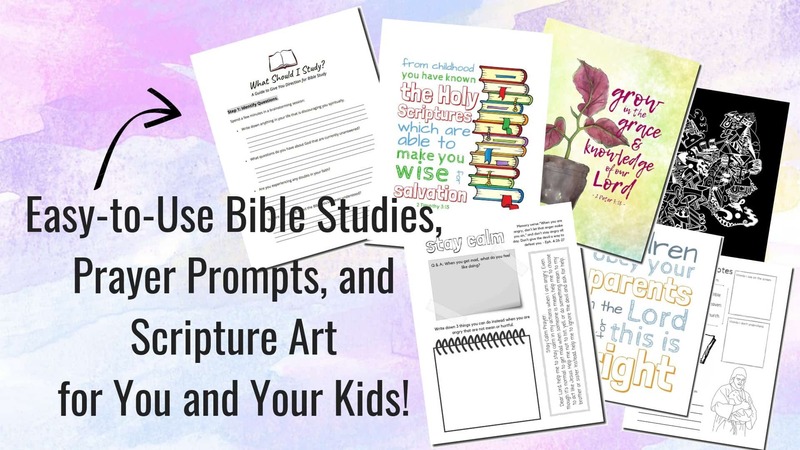 In fact, as I write this post, it’s still pulling in the most traffic to Healthy Christian Home daily! So, I thought it was time for another deodorant recipe. But this recipe post wasn’t simply born out of popularity. It was born out of necessity. For the past several months, I’ve been experiencing a mysterious rash on my right armpit. Nice, right? I had switched to Schmidt’s store-bought natural deodorant (out of sheer laziness, ya’ll). Since I didn’t feel like making my homemade version, I had been using Schmidt’s for several months when I noticed some rashy-ness. It does go on a bit rough and scratchy, and I started reading that some people react to baking soda in certain deodorant recipes. Another possible issue with my original deodorant recipe is the bentonite clay in it. Some people noticed a bit of discoloration on their white clothing. Most of the time it washes out, but it’s a bit noticeable on whites. I love that bentonite clay pulls out toxins from your body and has healing properties, but for those of us who want our whites super white? We need an alternative. So, a baking soda free, bentonite clay free recipe is in order. Not only does this recipe omit these ingredients, it includes a new skin soother: shea butter. 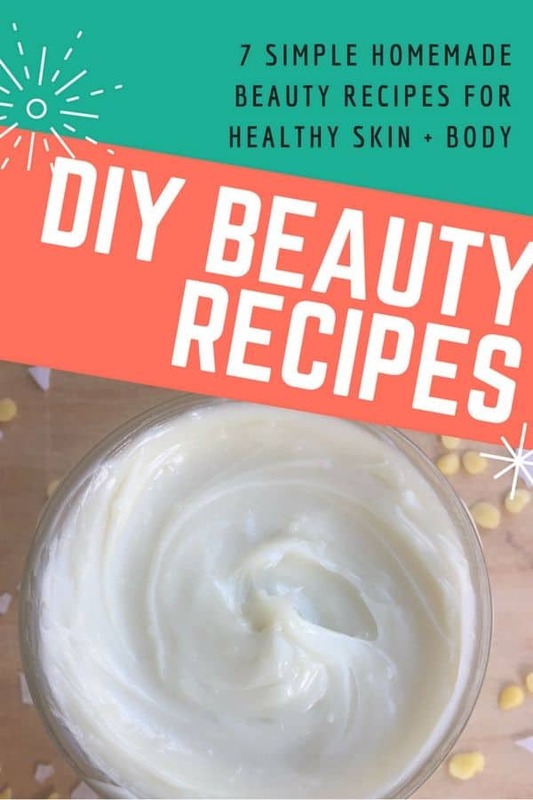 Psst…before we get to the recipe, grab the “DIY Skincare Recipes” digital download/printable below for free, which includes this and 6 other lovely homemade skincare recipes. Again, we are using coconut oil as the creamy base for this deodorant. It contains lauric acid and other healing properties to moisturize the skin, as well as an antibacterial element to fight odor. 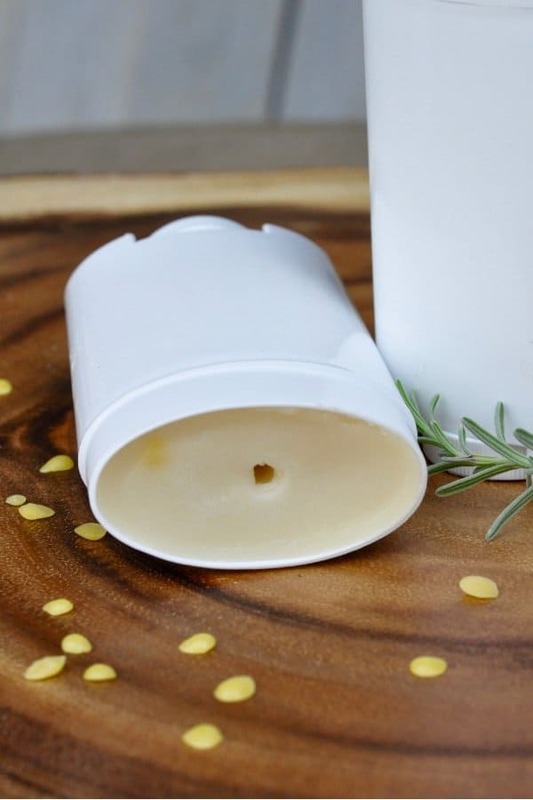 Beeswax helps to harden and solidify this DIY deodorant so we can pour it into a traditional deodorant stick. But, it also has beneficial properties for the skin and fights against chapping and bacterial infections by sealing in moisture. Here are more benefits and uses for beeswax from Wellness Mama. Arrowroot powder is made from a starchy tuber native to Central America and is often used as a thickening agent in recipes. 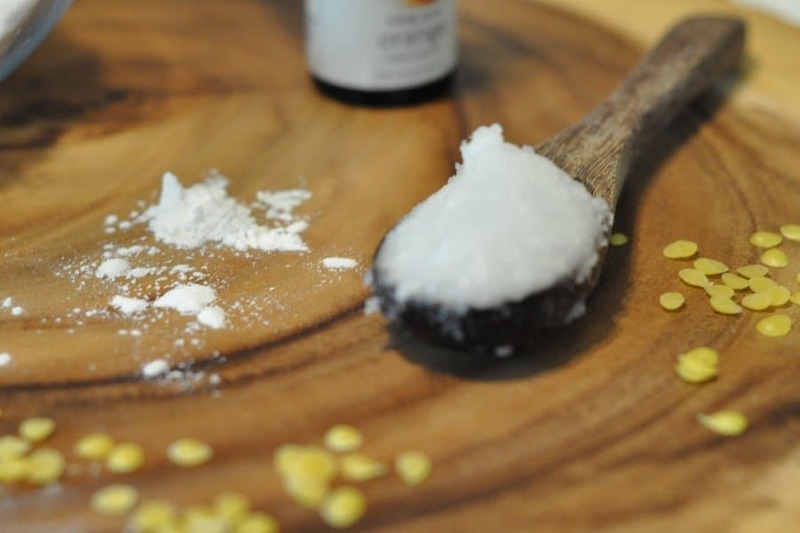 It’s a healthier alternative to flour and cornstarch in gravies and other foods, but it’s also a great thickener for our homemade deodorant! 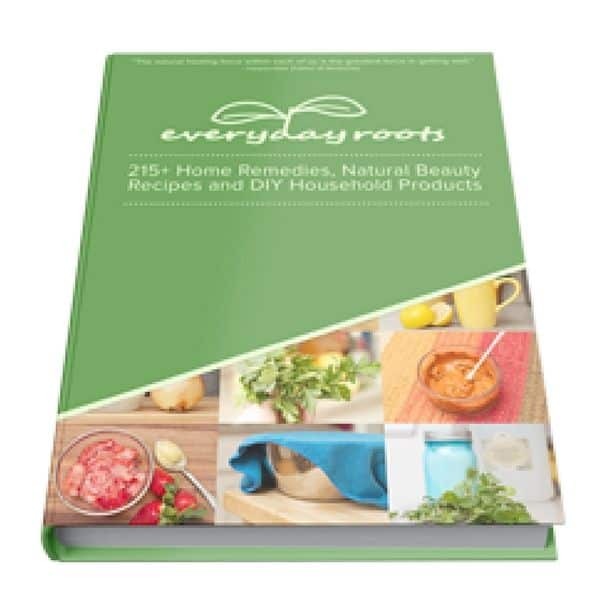 Read more about arrowroot here. In contrast, baking soda is a physical exfoliator and can strip the skin of moisture due to its pH for some people, according to Healthline. So, arrowroot is a good alternative that still absorbs wetness. 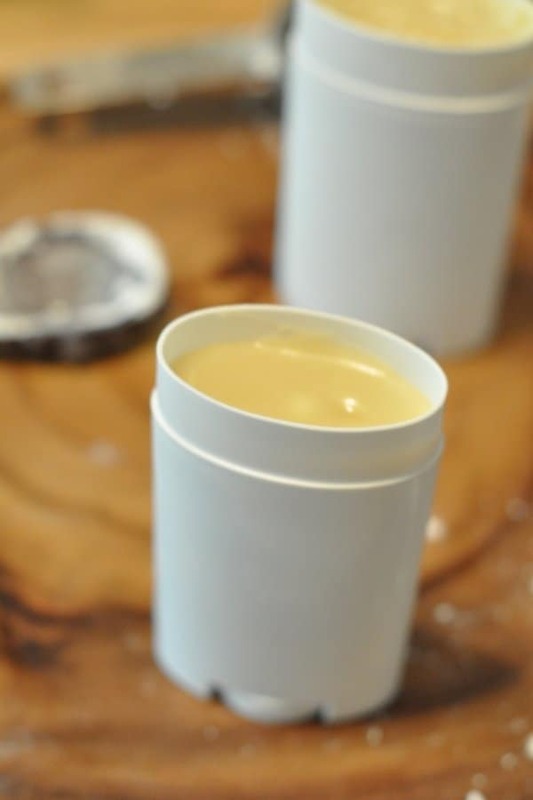 I also use cornstarch in my other deodorant recipe, and I kept it in this one, too. It’s great for absorbing moisture also. I like using an organic, non-GMO cornstarch. You can also omit the cornstarch and replace it with additional arrowroot. No DIY skincare recipe would be complete without essential oils! Use whatever scent you prefer for your deodorant. Some great options include lavender, bergamot, frankincense, tea tree or citrus. Results after 2 days of use: At the time of this writing, husband and I have been using this deodorant for 2 days. It is eliminating BOTH of our underarm rashes (he’s had a rash for 3 years)! This stuff works! Now, let’s get to the recipe! Place the coconut oil, beeswax, and shea butter in a microwave-safe bowl. Microwave for 1-3 minutes, until all the beeswax pellets are melted. Add 15-30 drops essential oil and stir. In a separate bowl, mix the cornstarch and arrowroot powders. Add the oil mixture to the dry ingredients and whisk together. Pour into deodorant canisters and allow to harden for a couple of hours before use. Adapted from Thank Your Body’s Sensitive Skin Deodorant. Some ingredients changed. Here’s the video tutorial if you’re a visual learner. Depending on your climate and how warm or cool you keep your home, you may need to adjust the amount of beeswax in this recipe. Use more beeswax for a firmer deodorant, less for a creamier deodorant. You may omit the cornstarch and replace it with additional arrowroot. This deodorant isn’t quite as effective as my original recipe at eliminating odor, although it absorbs wetness well. For me, the essential oil scent is enough to keep odor at bay, unless I have a particularly stressful day. However, my husband found it wasn’t enough for him. (The baking soda is what neutralizes odor the best.) If you experience this, you could try adding just 1 TBSP baking soda. If you’re really concerned about odor, using tea tree oil with whatever other essential oil you’re using is a great idea. Or, go back to my original deodorant recipe. You kind of have to decide which is more important to you: sensitive skin relief or odor elimination. Allow the deodorant to absorb for a few minutes before getting dressed to eliminate any oil staining. A little goes a long way. Shelf life is 2-3 months, but may keep even longer in the fridge. Can I ask a tiny favor? Would you share this post on Pinterest or Facebook for your friends to see? Let’s spread some happy pits love! Do you use natural or DIY deodorant? What kind? This is so great! I’m trying to reduce the chemicals I’m putting on my body every day and have been checking out other deodorant options. I tried Schmidt’s but it gave me a serious underarm rash. 🙁 I haven’t been adventurous enough to make my own yet though. I have all these ingredients except arrowroot. Can I just use cornstarch in its place? Same amount? 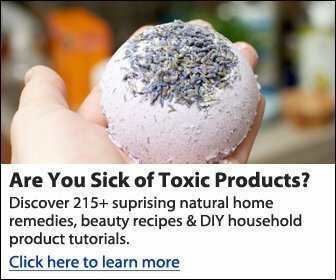 I’m excited I found this because I’ve made one with baking soda before that gave me a rash. I’ve been using regular deodorant but just ran out and don’t want to buy another one full of chemicals! Yes, I think the same amount of just cornstarch will work fine! I haven’t tried it, so let me know how it goes. Thanks for visiting! Hi I just tried to make this but the mixture wasn’t liquid but really thick so I was unable to pour it into containers. Can you heat it again once it’s all mixed together? You might be able to, but I’d suggest just scooping it into your containers if you can. The beeswax does harden pretty quickly, so you have to pour it right away or it starts hardening. Hope you can get it to work! too slow tipping into containers so hardened up faster than I was able to nicely get into the tube ..
used 10 drops lemon grass EO+ 10 drops kanuka EO.. Yes, the deodorant hardens pretty quickly because of the beeswax! Your recipe additions sound neat. How did they work out for you?